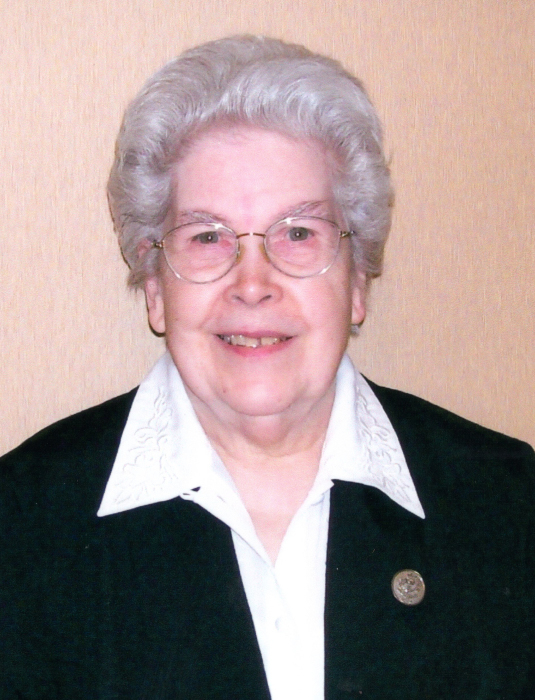 Sister Marita Pelletier, baptized Jeanne dArc Pelletier, died at St. Joseph Convent on April 9, 2019 at the age of 88. Sister Marita was born in Howland, ME on December 27, 1930, to Leon Pelletier and Aurore Boulay Pelletier. Sister Marita was the third child in a family of four children. She received her elementary education in Howland Elementary School and graduated from Howland High School. On August 25, 1947, Sister Marita entered the Congregation of the Servants of the Immaculate Heart of Mary, also known as the Good Shepherd Sisters of Quebec, in Biddeford, ME. She taught in the elementary grades in parochial schools of Biddeford, ME, Lawrence and Methuen, MA. After a year of studies at the Mother House in Quebec, she was assigned to Donaldson, Tennessee for three years. She studied art at Laval University and at the Mother House in Quebec, at Emanuel College in Brookline, and at the University of Maine. Sister was assigned for many years to our Bay View Convent where she served as sacristan and infirmarian. Sister Marita was transferred to St. Joseph Convent upon the closure of Bay View Convent in 2008. Sister Marita is survived by several cousins and close friends. The visiting hours will be at St. Joseph Convent, 409 Pool Street on Friday, April 12 from 6:00 pm to 8:00 pm and Saturday 8:30-9:45 am. The Mass of Christian Burial will be at St. Joseph Convent on Saturday, April 13 at 10:00 am. The burial will be at St. Joseph Cemetery, Biddeford, ME. Arrangements are by Hope Memorial Chapel. To share condolences online, please visit www.HopeMemorial.com.